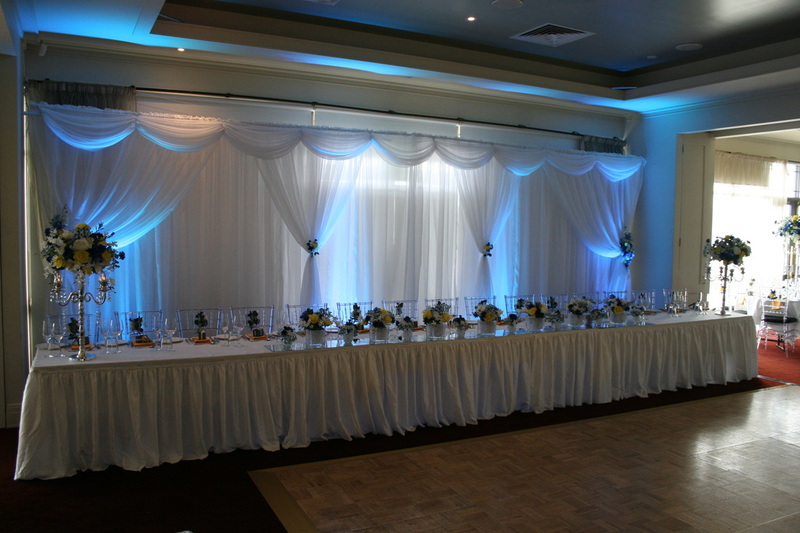 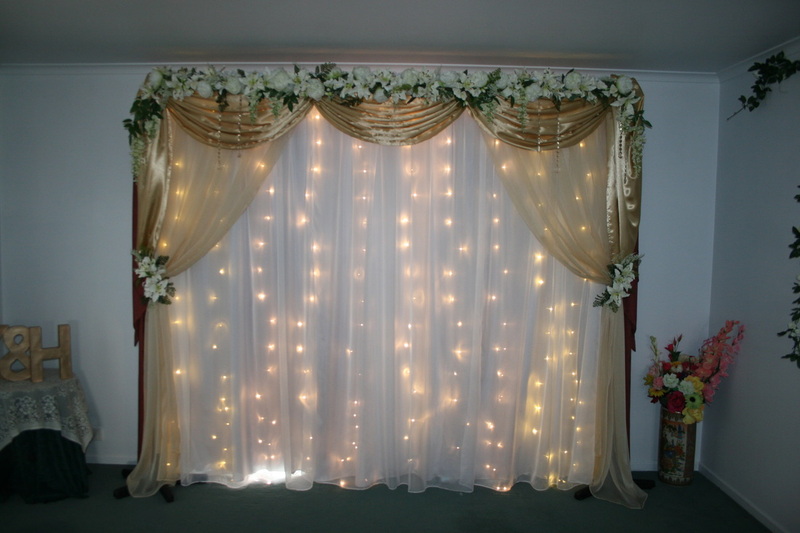 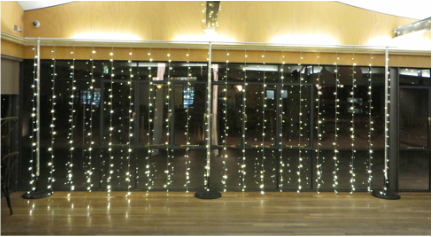 Melbourne Wedding Designers fairy light curtain backdrops are sure to impress! 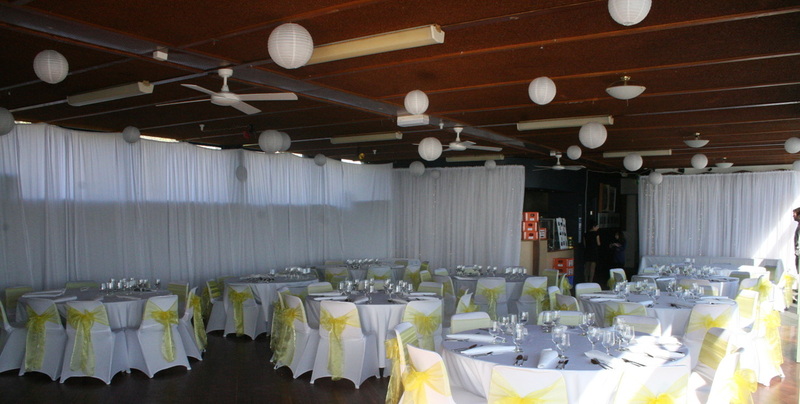 We can either extend them to their full 7m length or make them smaller to suit your area, as shown in the photo's below. 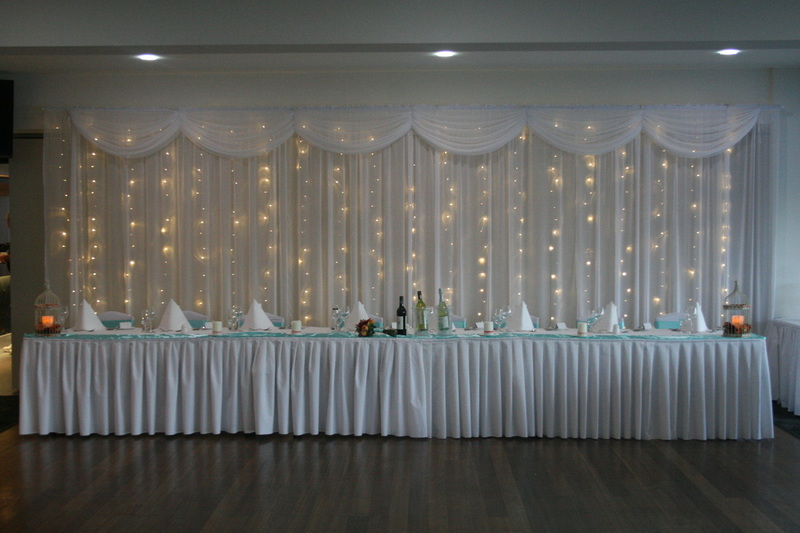 NEW!﻿ We now have our large backdrop also available in black with sparkling draping! 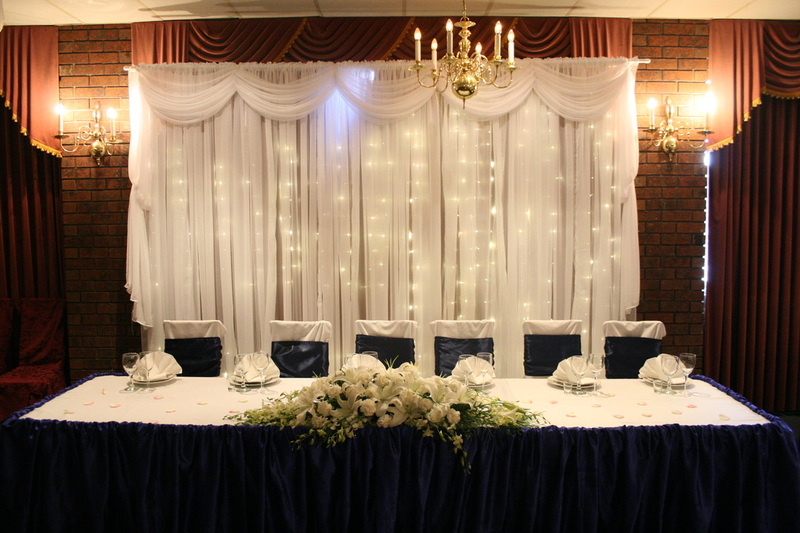 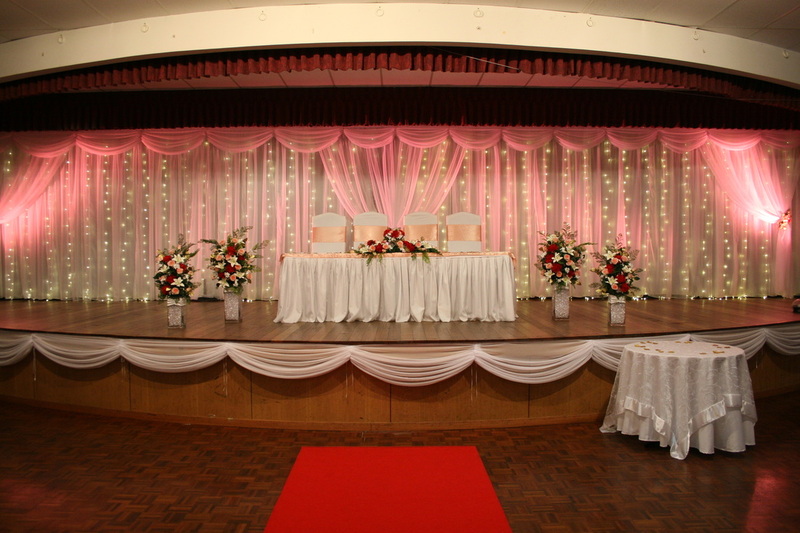 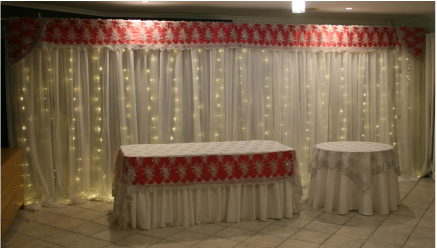 Customised backdrops using coloured curtains and satin draping.